A fireplace has the potential to give a home a unique look and feel. It is something that adds both appeal and ambiance. However, not all fireplaces are created the same. Rumford has become an elite industry name when it comes to fireplaces. All Out Chimney Sweep is well-versed in sweeping and repairing Rumford Fireplaces, which can create a whole new dynamic in your home. 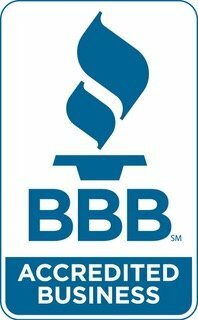 There are a number of reasons why we are qualified to repair and sweep your Rumford fireplace. Design – There is a lot to know about the unique design of a Rumford fireplace. They are shallow, but they are also tall. This combination serves the function of reflecting a greater amount of heat. The unique design also includes streamlined throats and dealing with those takes the eye of a trained professional. History – Rumford fireplaces were popularized during the late 18 th century and this kind of classical architecture is being used more frequently in present-day restorations. Understanding the nuances and intricacies of these historical fireplaces enables All Out Chimney Sweep to service them properly. Our expertise and experience are not limited to newer-model fireplaces. Convenience – One of the benefits of a Rumford fireplace is that it reduces turbulence and removes smoke without losing heat in a room. This provides homeowners with convenience and we consider that fact when conducting repairs that will enable the system to flow efficiently. We can eliminate any smoking issues in order to bring you the convenience that is intended to come with a Rumford fireplace. Sweeping a chimney connected to a Rumford fireplace also takes a special type of attention. This comes with experience, which is why we make sure all our technicians are skilled in dealing with Rumford fireplaces. Repair may also be more difficult because of the intricacies involved in a Rumford. However, we do not consider that a specialty as our technicians are equipped to repair and sweep all brands of fireplaces. If your home features a Rumford fireplace, it is important to trust its maintenance and repair to a qualified chimney service. These fireplaces are to unique to trust to any service. 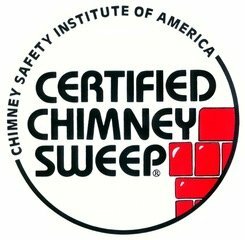 All Out Chimney Sweep has extensive experience working with Rumford fireplaces and that allows us to provide valuable industry insight to our clients. The next time you need service or repair to your Rumford fireplace, trust the professionals at All Out Chimney Sweep to get the job done right.